WIKIPEDIA | Photo Courtesy ‘Station Eleven’ tells the story of life after the end of the world through the eyes of multiple characters, many who were artists. The end of the world does not start with war, government or natural disasters. It starts with the flu. One night, an inexplicable strain of the disease descends upon the world. Ninety-nine percent of the population dies, leaving a measly one percent to remember life before. Cults, towns and traveling symphonies form from the shadow of life, but the ruins and memories linger like ghosts. 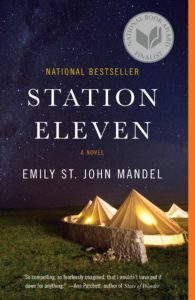 In her novel “Station Eleven,” Emily St. John Mandel uses different characters, locations and histories to explore the end of the world. All are linked by one person: Arthur Leander, an actor who dies onstage the night the flu hits. Arthur’s cast mate Kristin, his best friend Clark, the man who tried to save him Jeevan and his first wife Miranda share their stories and their lives as the book progresses. 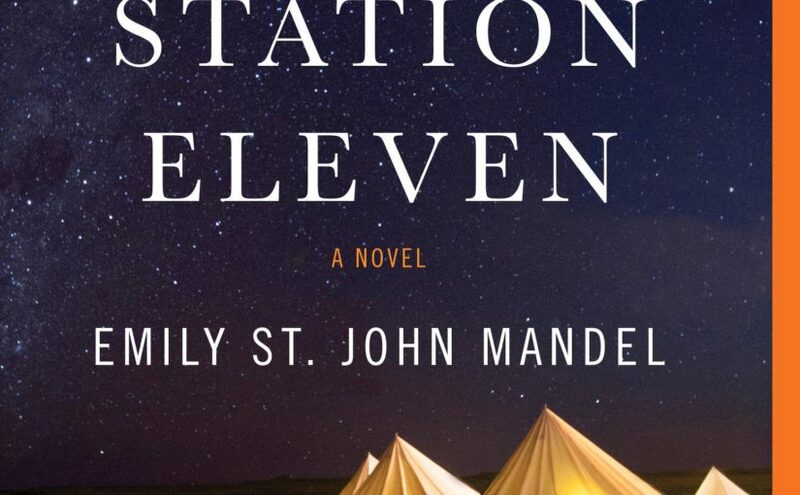 St. John Mandel fluctuates between the past and present to give the reader a sense for the ways the world has changed for each particular character. As we learn more about the characters, it becomes clearer how each plays a role in the lives of others, despite the assumption that, at least on the surface, they should not be connected. Not only is the nature of St. John Mandel’s destruction of the world unique to the genre, but she also includes an odd cast of characters at the center of her story: the Traveling Symphony. Composed of musicians and actors, the Traveling Symphony brings their craft to towns in the hopes of reinvigorating some of the old world. Even more interesting is St. John Mandel does not seem to be making a statement with this band of ragtag artists. Rather, she integrates them into the story as if it is the most natural thing for art to be included into the fabric of the end of the world. This doesn’t suffocate the story with grand declarations of the importance of art, yet gives the book an interesting twist. The jump between characters and storylines can become confusing and exhausting. St. John Mandel kept the stories in a package — most of the time. That still didn’t remove the few seconds of establishing which character and when they were in time. This got old fast. It also took me out of the story, breaking my interest with the novel. There were also a few characters whose stories I was disinterested in. This left me dragging through the chapters they were featured in, before I moved on to characters I actually liked. For dystopian fans, this story is a must. The orchestration of the end of the world and its effect on different characters was a refreshing break from other novels within the genre. The incorporation of the arts was also a unique characteristic of the novel. Not only dystopian fans, but other readers as well will enjoy the plot, characterization and writing of St. John Mandel. 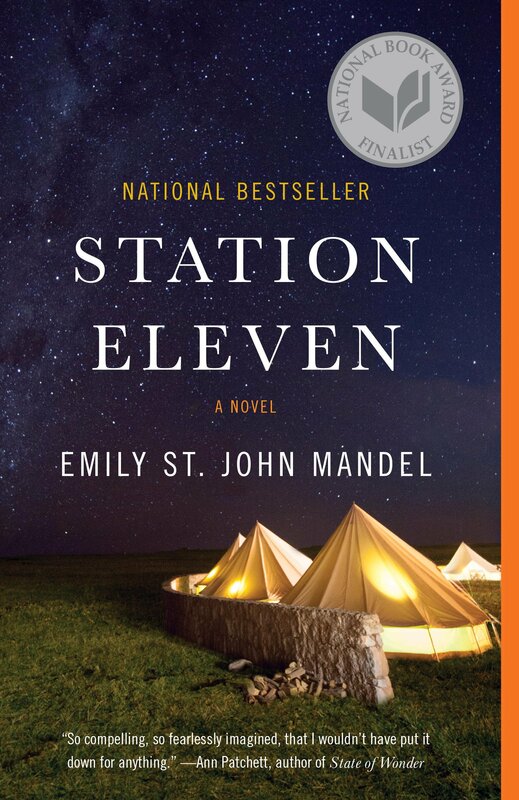 Take a break from academic reading and studying to enjoy “Station Eleven” by Emily St. John Mandel.